Payment Instructions: BUYER'S FEE: There will be a 12% buyer's fee charged on all items sold. (Buyer's fee in MO is not taxable). There will be a 15% buyer's fee charged on all items sold located in CA. (The Buyer's Fee in CA is taxable). A $25.00 document fee will be applicable to all titled pieces, regardless of the purchaser exemptions. Sales tax will be collected on non-titled items per state regulations, tax rate is determined by the physical location of the item(s). TERMS / CREDIT CARDS: There will be a 12% buyer's fee charged on all items sold. (15% for items located in CA) Complete payment is required within 3 business days of the sale, in guaranteed funds: traveler's checks, money orders and/or bank certified checks. Credit card payment will be accepted by Visa, Master Card, American Express & Discover with the exception of units located in CA, CO, CT, FL, KS, ME, MA, NY, OK and TX. Purchaser will be charged a 4% service charge for all credit card transactions. Company & personal checks will be accepted "only" when they are accompanied by a valid bank letter of credit "guaranteeing or honoring" payment of that particular check up to a specific amount of money. All letters of credit should be addressed to J.J. Kane Auctioneers. International Buyers will need to wire transfer full payment directly from your bank to J.J. Kane Auctioneers bank account. No International checks will be accepted. PAYMENT TERMS: Successful bidders will be notified of winning bid on sale day, Invoices will be emailed no later than the end on the 1st business day after the sale. Full payment must be made by the close of business on the 3rd business day after the sale, unless agreed to in writing by JJ Kane Auctioneers. Should Bidder fail to pay for any and all item(s) in full on the sale date, Bidder shall remain fully responsible for the purchase price and buyers fee. In addition to all other rights contained herein, if a default occurs and the full payment is not made by the 3rd business day following the sale, and as long as the default continues to occur, all outstanding financial obligations shall bear interest at the Interest Rate of 2% per month. The default interest rate shall apply from the date of the default through the time any judgment thereon is paid in full. If for any reason a court or arbitrator(s) deems this default interest rate excessive or impermissible, the arbitrator(s) or judge shall impose the maximum default interest rate permitted and all other terms contained herein shall remain valid and enforceable. JJ Kane Auctioneers shall be permitted to resell the item(s) and the Bidder shall be fully responsible for the difference of the purchase price along with the buyer?s fee and any additional cost regarding the resale of the item(s). Bidder understands that Bidder shall be responsible for all reasonable attorneys? fees, court cost, default interest and other cost incurred by JJ Kane Auctioneers associated with the enforcement of this provision. BID REMOVAL: When placing an online bid, you are entering into a binding contract. Bids cannot be removed for any reason after 8 am central time on closing day. Should you become the winning buyer, you are bound by contract to pay for and remove the lot(s) according to the terms listed. FINANCING: Altec Capital Services offers a quick and easy credit process, and flexible and affordable finance options. For more information dial (888) 408-8148 or email finance@altec.capital.com All financing must be pre-approved prior to the auction sale. Preview Date & Times: Please contact auction company for inspection times. Checkout Date & Times: Storage Fee: $25.00 per item / per day. Fee starts accruing on 7th day after sale date, additional Gate Fees may apply at select locations. All removals are by appointment as each location has different hours of operation. BUYER'S FEE: There will be a 12% buyer's fee charged on all items sold. (Buyer's fee in MO is not taxable). There will be a 15% buyer's fee charged on all items sold located in CA. (The Buyer's Fee in CA is taxable). A $25.00 document fee will be applicable to all titled pieces, regardless of the purchaser exemptions. Sales tax will be collected on non-titled items per state regulations, tax rate is determined by the physical location of the item(s). TERMS / CREDIT CARDS: There will be a 12% buyer's fee charged on all items sold. (15% for items located in CA) Complete payment is required within 3 business days of the sale, in guaranteed funds: traveler's checks, money orders and/or bank certified checks. Credit card payment will be accepted by Visa, Master Card, American Express & Discover. Purchaser will be charged a 4% service charge for all credit card transactions. Credit card payment will not be accepted for items located in CA, CO, CT, FL, KS, ME, MA, NY, OK and TX. Company & personal checks will be accepted "only" when they are accompanied by a valid bank letter of credit "guaranteeing or honoring" payment of that particular check up to a specific amount of money. All letters of credit should be addressed to J.J. Kane Auctioneers. International Buyers will need to wire transfer full payment directly from your bank to J.J. Kane Auctioneers bank account. No International checks will be accepted. PAYMENT TERMS: Successful bidders will be notified of winning bid on sale day, Invoices will be emailed no later than the end of the 1st business day after the sale. Full payment must be made by the close of business on the 3rd business day after the sale, unless agreed to in writing by JJ Kane Auctioneers. Should Bidder fail to pay for any and all item(s) in full on the sale date, Bidder shall remain fully responsible for the purchase price and buyers fee. In addition to all other rights contained herein, if a default occurs and the full payment is not made by the 3rd business day following the sale, and as long as the default continues to occur, all outstanding financial obligations shall bear interest at the Interest Rate of 2% per month. The default interest rate shall apply from the date of the default through the time any judgment thereon is paid in full. If for any reason a court or arbitrator(s) deems this default interest rate excessive or impermissible, the arbitrator(s) or judge shall impose the maximum default interest rate permitted and all other terms contained herein shall remain valid and enforceable. JJ Kane Auctioneers shall be permitted to resell the item(s) and the Bidder shall be fully responsible for the difference of the purchase price along with the buyer?s fee and any additional cost regarding the resale of the item(s). Bidder understands that Bidder shall be responsible for all reasonable attorneys? fees, court cost, default interest and other cost incurred by JJ Kane Auctioneers associated with the enforcement of this provision. BID REMOVAL: When placing an online bid, you are entering into a binding contract. Bids cannot be removed for any reason after 8 am central time on closing day. Should you become the winning buyer, you are bound by contract to pay for and remove the lot(s) according to the terms listed. FINANCING: Altec Capital Services offers a quick and easy credit process, and flexible and affordable finance options. For more information dial (888) 408-8148 or email finance@altec.capital.com All financing must be pre-approved prior to the auction sale. LIKE KIND EXCHANGE NOTIFICATION: Buyer is hereby notified that Asplundh has assigned to Northstar Deferred Exchange Corporation, acting in its capacity as a Qualified Intermediary, all of its rights but not its obligations, in any existing and future contracts to sell certain equipment. This notification will apply unless specifically excluded in writing. Notice Regarding Like Kind Exchange: Certain equipment consigned to this auction may be sold as part of an equipment exchange, pursuant to Section 1031 of the Internal Revenue Code, and the rights of the consignor under Contract to Auction may be assigned to a third party Intermediary. 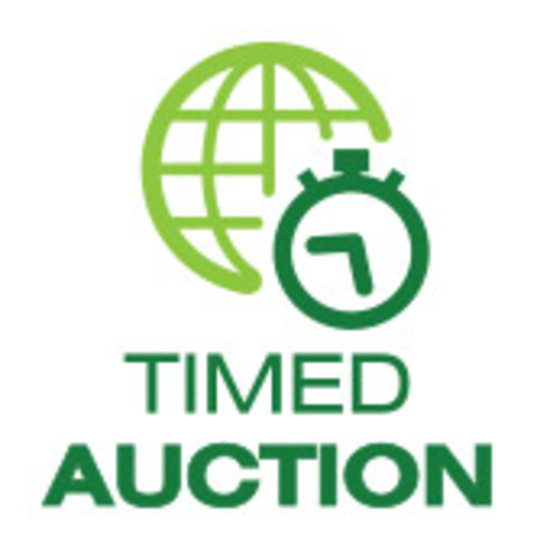 TIMED AUCTION BIDDING: This auction sale will feature TIMED AUCTION BIDDING powered by Proxibid. All prospective bidders are required to register on-line, bidding can start once you are approved, it could take up to 48 hours for the approval process. Go to www.jjkane.com (Bid Online Tab). All bidding will be completed on the internet, buyers will be required to comply with all the terms and conditions of the auction sale, including the payment and removal procedures. For all specific internet bidding questions, please contact Proxibid at (877) 505-7770. REMOVAL: All items must be removed within 1 week (7 calendar days) of the auction, with no exceptions. A ?paid in full? receipt must be presented for removal. Any items left on site by the Friday following the sale will be charged a storage fee! STORAGE FEE / GATE FEE: Storage Fee: $25.00 per item / per day. Fee starts accruing on 7th day after sale date, additional Gate Fees may apply at select locations. All removals are by appointment as each location has different hours of operation. Pickups need to be scheduled a minimum of 24 hrs. prior to arrival. Storage Fees must be paid prior to removal. NO EXCEPTIONS. NOTICE: The following section shall apply to the following vehicle mounted aerial devices (Hereinafter referred to as ?aerial device? ): a. Extensible boom aerial devices; and b. Aerial Ladders; and c. Articulating boom aerial devices; and d. Vertical towers; and e. A combination of any of the above. The vehicle may be a truck, a trailer, or an all- terrain vehicle. The successful purchaser hereby acknowledges that JJ Kane Auctioneers has provided them with the operations, maintenance and manufacturer?s manual(s) for the aerial device purchased. If the operations, maintenance and manufacturer?s manual are not available, the successful purchaser hereby acknowledges that JJ Kane Auctioneers has provided them with a list of manufacturers that the successful purchaser must contact to obtain the manual(s). The successful purchaser hereby acknowledges that they shall be responsible to notify the manufacturer of the unit model and serial number along with the name and address of the new owner within sixty (60) days from the date of purchase. Upon completion of the sale, JJ Kane Auctioneers will notify the prior owner of the successful purchasers name and location. Notice to Attendees: Persons attending are notified that an Auction Site is a potentially dangerous place. Flammable, corrosive and pressurized substances are present, heavy equipment is being operated and electric circuits may be live. Every person at the Auction Site before, during and after the auction sale shall be deemed to be there at his or her own risk with notice of the condition of the premises, the activities on the premises and the conduct of third parties and any registered bidder shall so advise his agents and employees. No persons shall have any claim against the Auctioneers, their agents, employees or principals for any injuries sustained, nor for damages to or loss of property which may occur from any cause whatsoever. ADDITIONAL TERMS: Items will be added to the auction sale. In an emergency situation, all sellers reserve the right to remove any unit from the sale. The information listed within this brochure is only a guideline. Accuracy cannot be guaranteed. Everything will be sold "As-Is" and "Where-Is" with no warranties or guarantees expressed or implied. NOTICE: J.J. Kane Auctioneers or Seller(s) are not responsible for any inspections prior to or after purchase. All equipment or vehicles that require any type of inspection on the upper unit or chassis is 100% the bidder/purchaser's responsibility and expense. (ie: Cranes, Man Lifts, Buckets, Diggers, Construction Equipment, Trailers and Vehicles of any type). NOTICE: All Potential Bidders/Buyers: The safety and reliability of the equipment listed for sale cannot be ensured unless it receives regular inspections, tests and maintenance. The Seller or Auctioneer will not be responsible for equipment inspection reports before any equipment sale or failed equipment inspection reports after the equipment is sold. All equipment is sold As-Is, Where-Is with all faults, defects and modifications. The description of the equipment is for the purpose of identifying the equipment and DOES NOT CONSTITUTE A WARRANTY OR REPRESENTATION THAT THE EQUIPMENT SHALL CONFORM TO SUCH DESCRIPTION OR ANY CONDITION REFERRED TO THEREIN. J.J. Kane Auctioneers warrants only title to the equipment. The Seller or Auctioneer makes no representation or warranty of any kind, expressed or implied. It is the potential bidder/buyer responsibly to ensure that all equipment is given thorough inspections according to the manufacture recommendations by only those persons who are able to detect and assess defects and potential hazards that could limit the safe performance of the equipment functions. Purchaser agrees to release, waive all rights against, indemnify and hold harmless the auctioneer and sellers. To search by distance, enter your location. For a more accurate result, include the zip code. You've been outbid to m****t! to YOU! You've been outbid to b****g! to YOU!